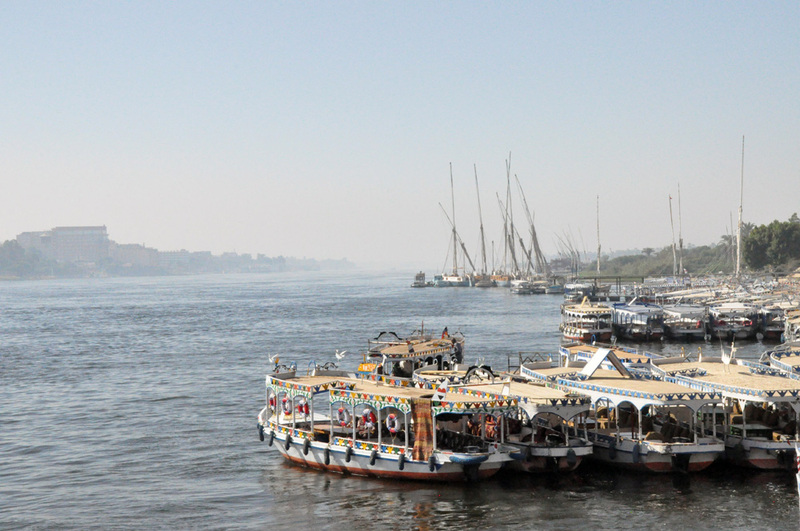 Nour El Nil run four beautiful dahabiehs on the Nile, and set the standard for quality. 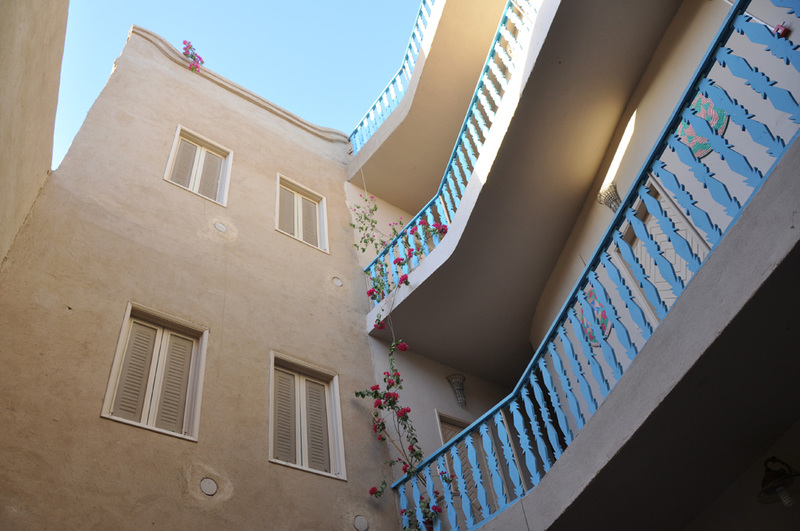 They also have Beit Sabee, a small, fifteen room guesthouse, perfectly situated on the West Bank of the Nile in Luxor. 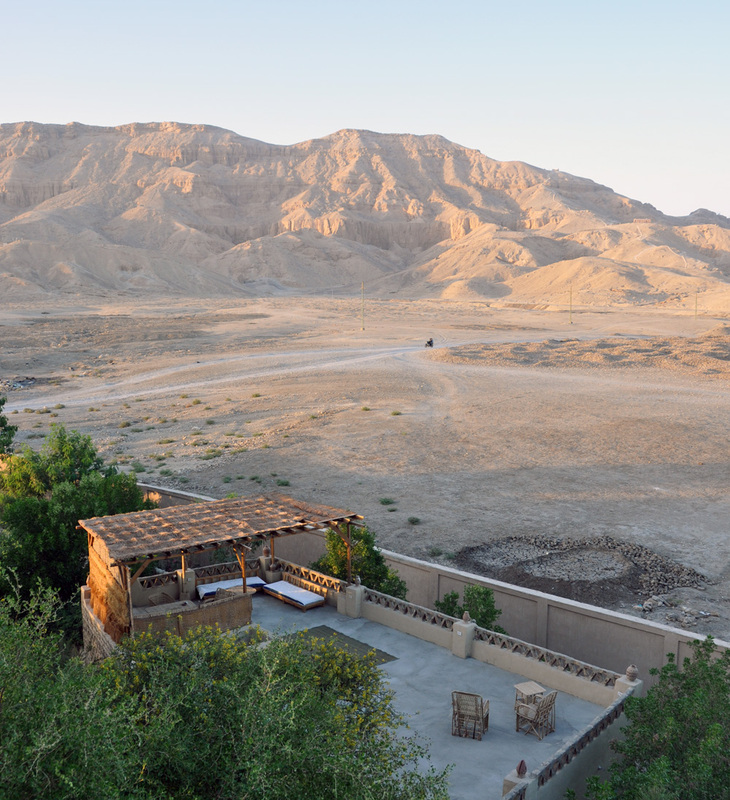 It’s well away from the noise and hassle of Luxor Town, but is right by the ancient pharaonic sites – the Valley of the Kings, the Valley of the Queens and the tombs of the nobles. 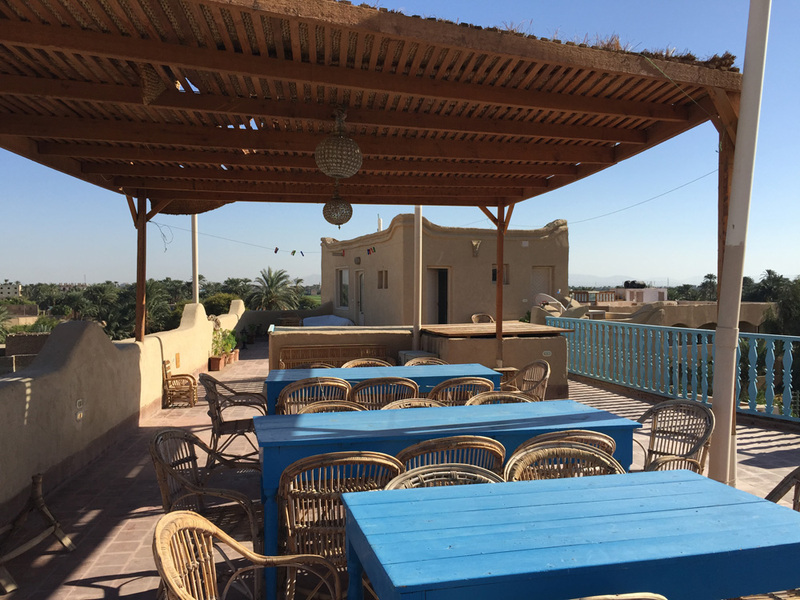 It has an open courtyard where you can eat – it never rains – or a fabulous rooftop sitting area which overlooks the magnificent Temple of Habu, as well as the desert. Breakfast up here is stunning. You can see Old Gourna from the roof. 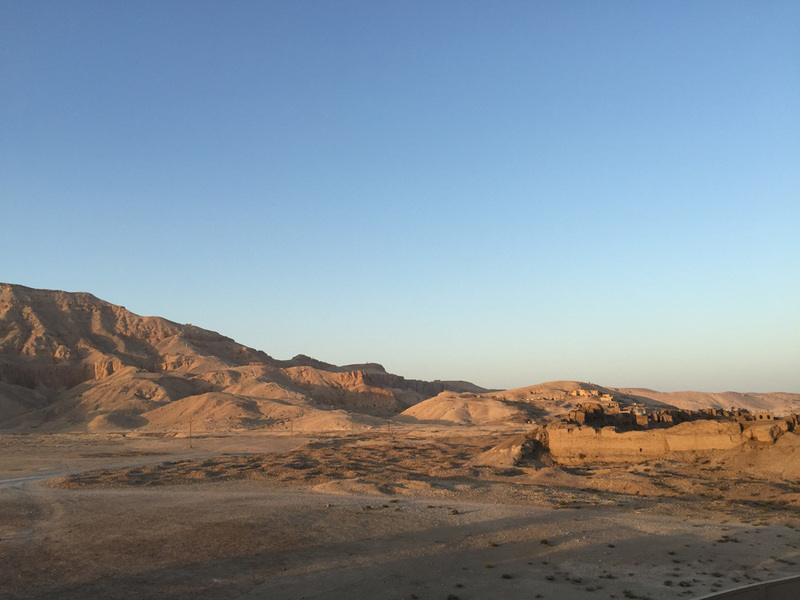 This is where locals built their houses over the top of a tomb they found, allowing them to liberate the tomb’s contents for their own benefit. 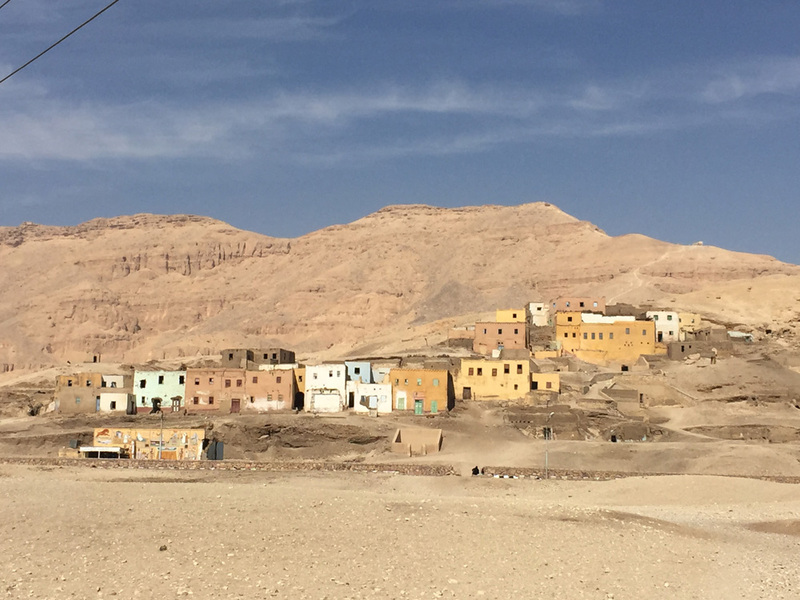 The government arranged for new housing to be built and resettled most of the locals so the housing over the tombs could be demolished. An admirable plan, but it seems to be taking quite a time. They’ve also built a rather ugly wall to stop people expanding the housing further into the desert, but it doesn’t spoil Beit Sabee one bit. It’s very easy to get into Luxor. 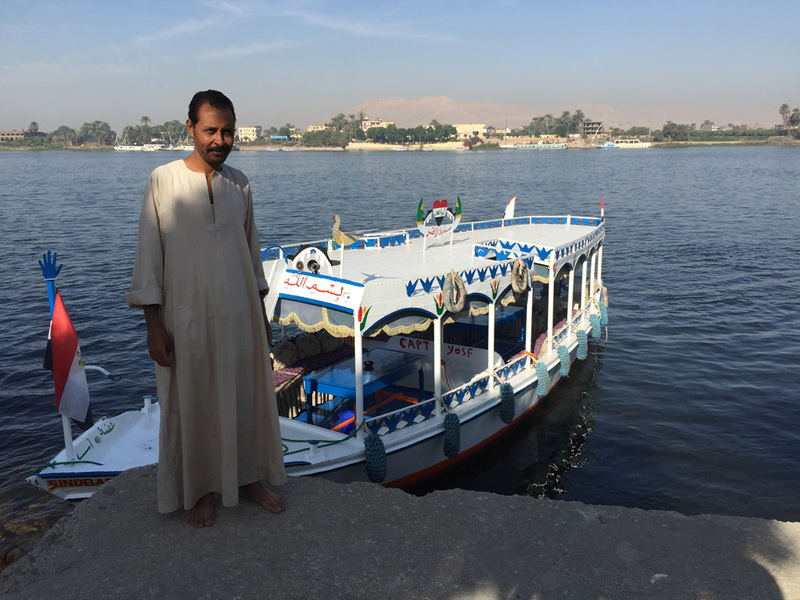 The taxi driver lives next door and will take you to the river (the main part of Luxor is on the East bank) for 20 Egyptian pounds (EP), and you can either take the National ferry – atmospheric and only 1 EP – or a private water taxi. Negotiate your own price but about 10 EP (still less than £1) each way, or a bit more if you want to go right up to the Temple of Karnac [recommended]. It saves both the walk from the national ferry and the hassle of constantly avoiding the touts with their “Egyptian Ferraris” – the rather worn carriage and distinctly tired looking horse. 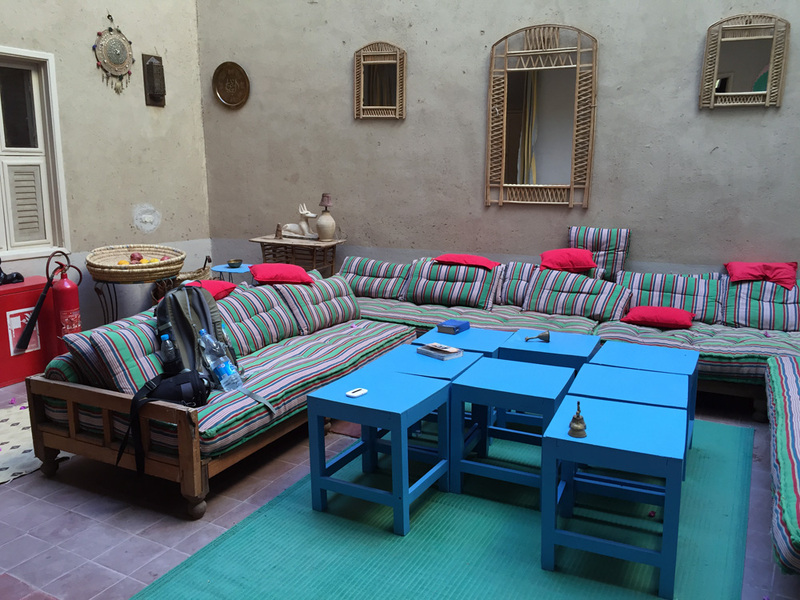 You can stay in a big hotel in central Luxor – The Winter Palace for example – but this is much, much nicer. The area around Beit Sabee. 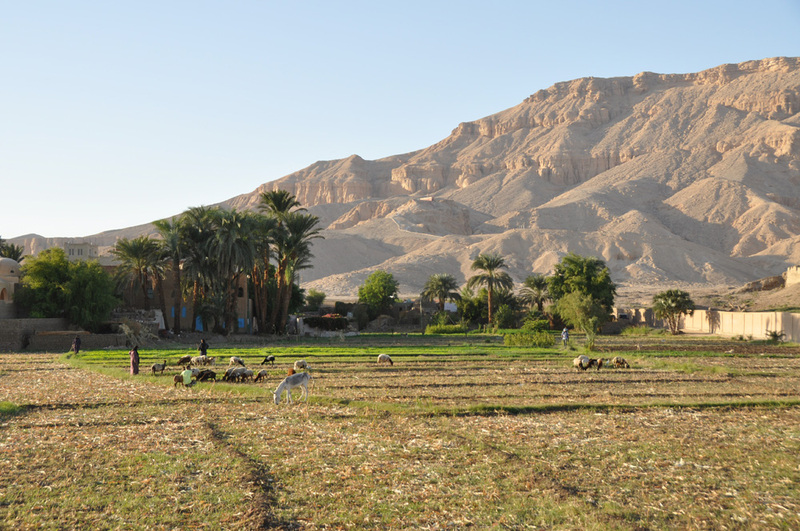 That’s the Valley of the Queens in the background.